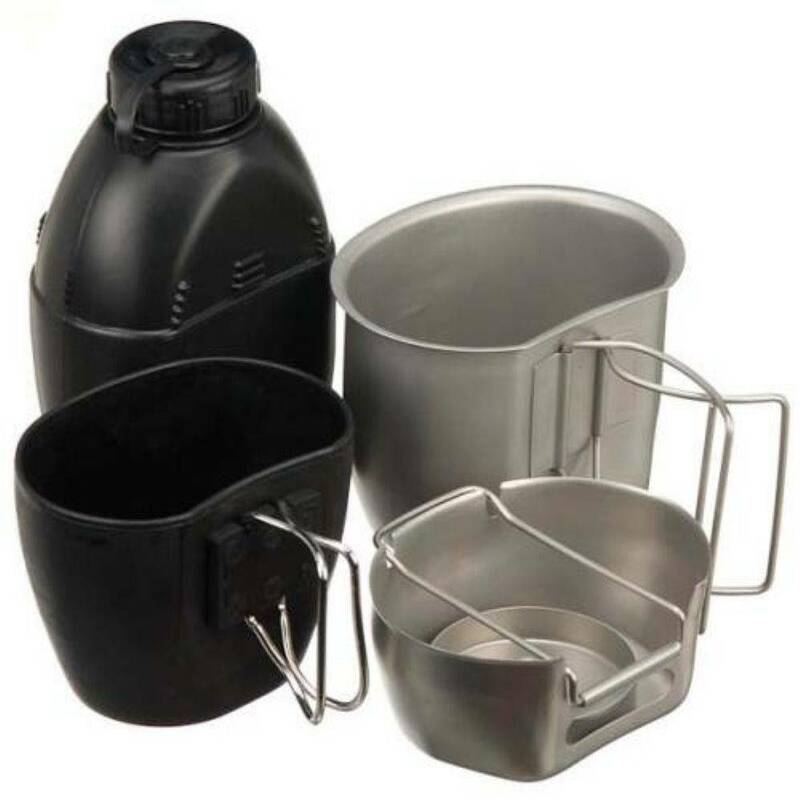 The Bushcraft Crusader Cooking System offers a 4-piece set comprising of a Crusader Cooker, Crusader Cup, Water Bottle and Plastic Mug that should cover the needs of any camper or backpacker in outdoor conditions. An integral folding arm allows the cup to fit securely over a fuel crucible where gel or solid hexamine fuel blocks can be lit. A small slot provides efficient air intake whilst the walls of the cooker provide shielding against the wind. In transit, the cooker nests neatly and compactly beneath BCB’s Crusader Cup and will fit inside the water bottle.